Independence Day is a national holiday in the Philippines that commemorates the country’s independence from Spain and the establishment of the First Philippine Republic in 1889. It is celebrated on June 12. The Philippine Islands were discovered by Portuguese-born Spanish explorer Ferdinand Magellan in 1521. The first Spanish settlement was founded in 1565 in Cebu, creating the foundations for the Spanish colonization of the archipelago. Although the British attempted to occupy Manila in the 1760s, Spain eventually regained its control of the Philippines. In 1872, the colonial authorities accused three Filipino priests of sedition and executed them by garrote. This incident led to the rise of revolutionary sentiments in the Philippines. In 1896, the anti-Spanish revolutionary society Katipunan initiated an armed revolt against the colonial authorities that evolved into the Philippine Revolution, also known as the Tagalog War. By June 1898, the rebels had gained control of nearly all of the Philippines except for the colony’s capital of Manila. On June 12, General Emilio Aguinaldo proclaimed the Philippine Declaration of Independence, establishing the First Philippine Republic. The declaration was written by Ambrosio Rianzares Bautista. However, neither Spain nor the United States (that had aided the rebels) recognized the independence of the Philippines. Half a year later, Spain ceded the archipelago to the United States, which led to the Philippine-American War between the Philippine Revolutionary Government and the United States. As a result of the war, the First Philippine Republic was dissolved, and the Philippines was occupied by the USA. Philippine Independence Day was originally celebrated on July 4, because on this day in 1946 the Philippines achieved independence from the United States. The date was chosen by the United States because it corresponds to its Independence Day. In 1964, President Diosdado Macapagal moved Independence Day to June 12. It is considered the national day of the Philippines. The Philippines’ Independence Day is also known as the Day of Freedom (Araw ng Kalayaan). It is an official day off for all students, government employees, and most private enterprises, although many shops and other commercial enterprises choose to remain open. The official festivities are held in the country’s capital of Manila. They include a flag raising ceremony at the Independence Flagpole in Rizal Park, wreath laying ceremonies at various monuments, the president’s holiday address, and a big parade. Similar events take place in other cities nationwide. When the official part of the celebration is over, most people spend the rest of the day bonding with their families and engaging in various outdoor and indoor activities. 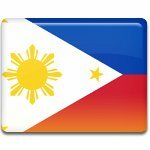 Independence Day of the Philippines is celebrated by the Filipino diaspora around the world. One of the biggest celebrations is the Philippine Independence Day Parade held in New York City on the first Sunday of June. The event attracts over 100,000 people, mainly members of the Filipino American community who want to rekindle their heritage. It aims to promote Philippine culture and raise money for charity.